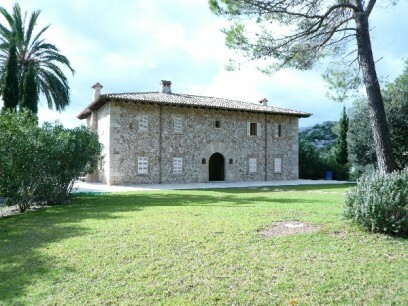 This exclusive country estate, situated away from the usual tourist traps, is set into the beautiful mountainside in the rural area of Rafalet with breathtaking views of the dramatic scenery. Ideally suited to those looking for a haven where they can enjoy the peace and quiet of this idyllic location. The house comes with land of approx. 600,000m2 and at present the surrounding countryside is protected by property laws which prevent any further construction, meaning that this privileged position is sure to remain totally private and unspoilt. The house was built 12 years ago and has a living area measuring approx. 700m2, divided into 5 double bedrooms with 4 en suite bathrooms, kitchen, living room with fire place, dining room, guest toilet and billiards room. The guest house's layout includes 2 bedrooms, 1 bathroom, living room with fireplace. 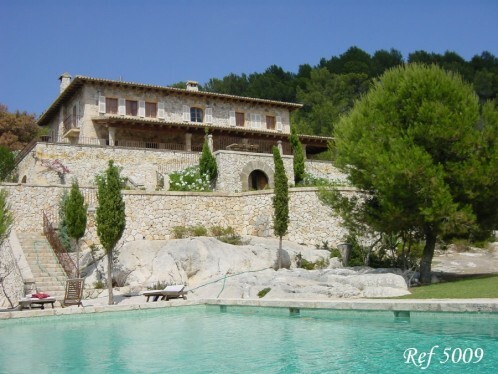 Additional extras include central heating (the ground floor has under-floor heating), automatic sprinkler system, beautiful swimming pool and use of natural materials throughout such as old wooden beams, pillars and doors and locally-made terracotta roof tiles. Equipped with electricity and running water. At the bottom of the land, there is an old ruin, which could be developed into staff accomodation and stables or warehouse. The house has a lower living level which is now as well connected to the upper level.